Rick's Rod Shop, Epping New Hampshire, is restoring the old Ed Perkins 707 car that Bentley Warren drove. 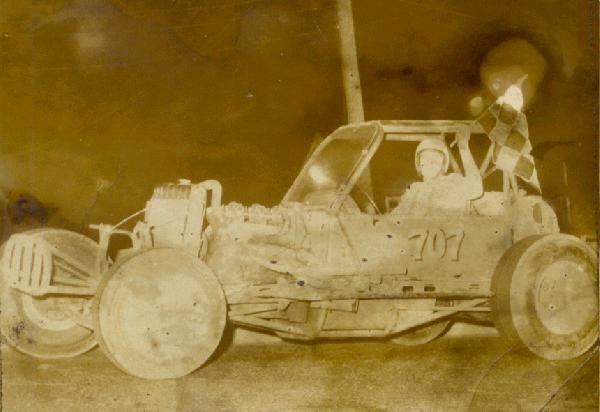 If you have any old pictures of this car or other information, we would love to add it to this page. Please send them in to RetroRockets and for pictures, please include a description, if possible. Bentley at the Pines Speedway in Groveland, Mass. Could be anywhere from 59 to 63. 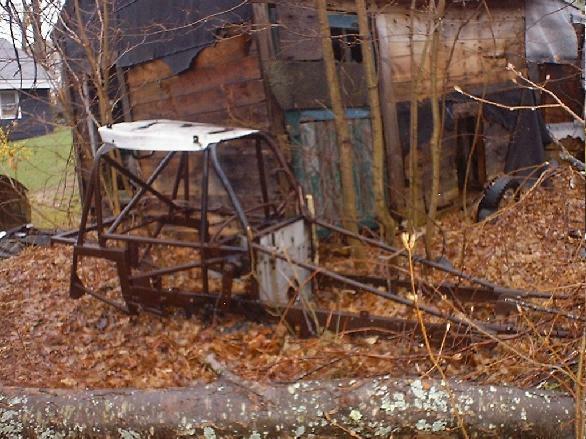 The 707 chassis as found by Rick's Rod Shop, with a tree growing out through the frame. 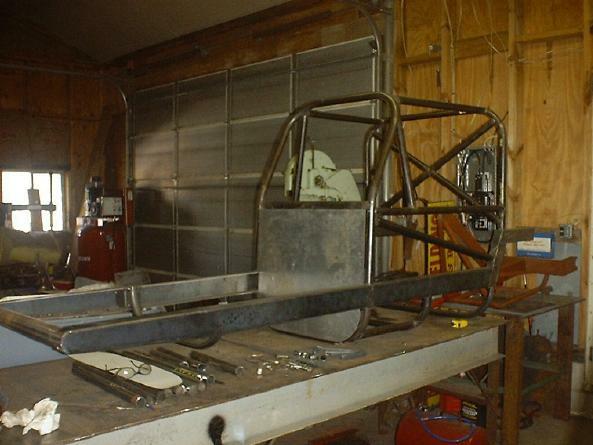 March 2, 2001 picture of the rebuilt frame at Rick's. They have the front and rear axles as well.